Want tosave 2,90 kn on this order and become Loyalty program member? 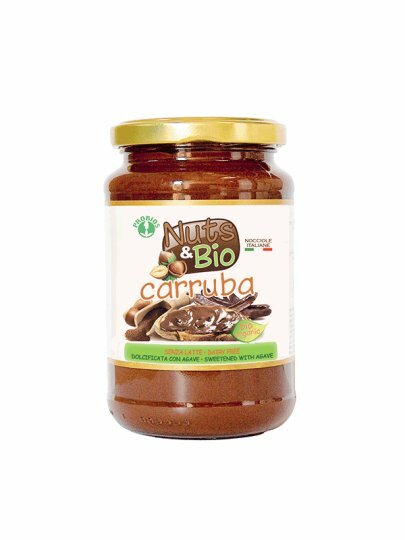 Nuts & Bio Carruba is a cream of hazelnuts with carob! It is manufactured in a workshop that works only with hazelnuts, gently burns at low temperatures. No milk, sugar or cocoa, this delicious cream is suitable for people with special nutritional needs. No emulsifiers; Its cremation is obtained by a unique production process: Ingredients are constantly mixed 18 hours. Nuts & Bio Carruba is a delicious spread of appetizers, pastries and ice cream, or pancakes.